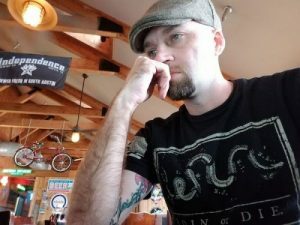 Join us as we get to know Brian Gleason and don’t forget to connect with him at BytesOfCloud on Twitter, the web, or the Tech Field Day web site! Brian was a first-time delegate at Networking Field Day 20, back in February, and will be at Tech Field Day Exclusive at Intel Data-Centric Innovation Day. I focus on the network technologies for an integrated circuit design company in Austin. I focus on network architectures and integration within LAN/WAN, wireless, and security disciplines. That’s a long story, but, I’d dropped out of college and started working for an IT training company in Austin. The instructors were very kind and answered a lot of my questions. I started to see that tech was more than strictly programming. I started way back in the Windows NT 3.51 days! Helping other technologists see what “could” be for our network in support of business initiatives. I think technologists can make a huge impact on business success when done correctly and when we break through all the FUD (fear, uncertainty, doubt). I enjoy taking business needs and developing a technical solution. I think I will be in the VAR or vendor space working as a solutions architect. 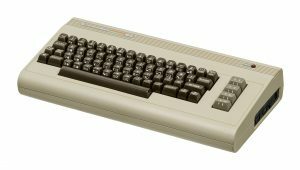 Some fun facts about the Commodore 64, courtesy of Wikipedia… Introduced in January 1982 by Commodore International. It has been listed in the Guinness World Records as the highest-selling single computer model of all time, with independent estimates placing the number sold between 10 and 17 million units. Volume production started in early 1982, marketing in August for $595 USD. I teach firearms courses to individual and teams. Precision and tactical marksmanship is a passion of mine. 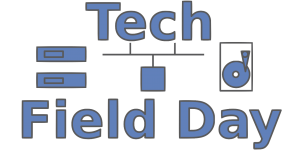 Please join us at Tech Field Day Exclusive at Intel Data-Centric Innovation Day on April 1-2, 2019!